Place your bets: how would Amish country react to the news that a casino is planned for the area? If you chose, “sounds like something that would divide rural Pennsylvania communities,” you’d be right. My colleague Andrew Maykuth has the details on the controversial plans. Plus, following the discovery of PFAS-contaminated drinking water in communities nationwide, New Jersey is making moves to clean up its water. And in other, happier news, Philly’s new favorite athlete has a big announcement to make. After Pennsylvania expanded its gaming laws, Penn National Gaming Inc. announced plans to build what it calls a “mini-casino” in Berks County. Local residents have a few problems with that. For starters, the site is on the edge of Amish country. 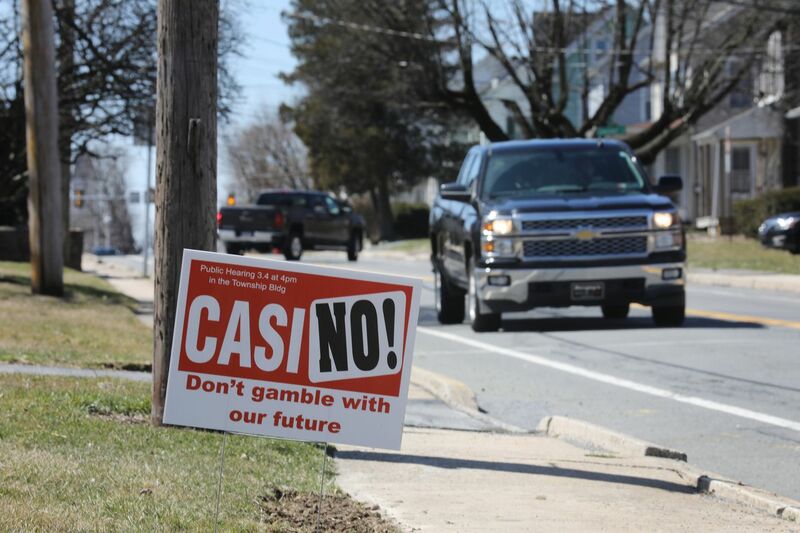 Many see the casino project as a threat to a deeply religious community in a politically conservative area. Caernarvon Township, on the other hand, sees an opportunity to capture tax benefits. New Jersey is proposing a binding drinking water standard for two PFAS chemicals to establish more restrictive limits than current federal guidelines. It could force at least 40 public systems to clean up their water in response to a contamination crisis. Per- and polyfluoroalkyl substances, or PFAS, have been found in drinking water systems near military bases and manufacturing plants nationwide. The proposal comes a week after the state took action against companies for PFAS contamination, filing lawsuits over cleanup. Today is Equal Pay Day. What are policymakers doing (and not doing) to fix the wage gap? Federal labor data show that women, on average, make about 82 cents for every dollar their male counterparts make. Women of color make less. Today marks Equal Pay Day, a day meant to draw attention to this gender wage gap, which lawmakers across the country are trying to tackle. But what about right here in our region? Here’s what Pennsylvania and New Jersey policymakers are doing and not doing to help. A gunman fatally shot the 20-year-old son of a Philadelphia Police commander at a Phillies tailgate Saturday. Police said Monday the shooter was called there by a woman involved in a group fight. Philadelphia’s Democratic Party leaders voted Monday to endorse candidates for the May 21 primary, including Sheriff Jewell Williams, who is currently dogged by sexual harassment complaints. Two area service members, a paratrooper from Burlington County and a Marine from Ambler, were killed in separate training accidents over the weekend, the U.S. military announced Monday. The Pennsylvania Public Utilities Commission just finished a five-month safety audit of Uber. Its recommendations? More timely notification of driver criminal offenses and easier complaint reporting. Sungard Availability Services, which employs 2,500, including 160 at its Philadelphia backup centers and 260 at its Wayne headquarters, plans to file for bankruptcy reorganization. Home runs, schmome runs. Bryce Harper has even more good news to share with his new hometown: he and his wife Kayla are having a Philly baby. We can’t resist those pink blooms, @jasoncoopman. Of course Philly couldn’t resist a few April Fools pranks: WHYY “introduced” a Gritty-inspired mascot and University City “announced” new LARP parks. Sadly, the Sixers’ loss to the Dallas Mavericks Monday night was no joke. The 122-102 rout came just as Philly is expected to be performing at a high level heading into the postseason. Maybe it was all that nice weather or maybe Philly’s the new Hollywood, but the region was buzzing with celebrity sightings over the weekend, from J. Lo to Oprah. Great news for oyster cracker lovers: the company that once made the original OTC crackers says they may be returning after all. New Jersey’s beloved (and aggressive) blue crabs are well-traveled. They’ve ended up in Spain, where they’re driving fishing communities crazy. It’s that time of year: Parks on Tap is on its way. The city’s traveling community beer garden just announced its summer schedule, including a handful of new locations. “Meanwhile, we need to hold mass media platforms accountable for the health information they distribute. Film and videos dispensing medical advice should be vetted for scientific credibility before they’re marketed to millions of consumers.” — Cecile A. Feldman, dean of Rutgers School of Dental Medicine, on a documentary that falsely links root canals to breast cancer and heart disease. When the School District of Philadelphia wants to close a public school there’s no legal recourse for families, but closing a charter school takes a lengthy, and expensive, legal process, writes Lisa Haver, a retired teacher and co-founder of the Alliance for Philadelphia Public Schools. Metal detectors in our schools are ugly reminders of violence and the failure of our leaders, writes the Inquirer Editorial Board. The future is now, friends. A Delaware restaurant will soon let diners get up close and personal with robots that will greet and serve customers, reports WHYY. If you can get through Vox’s intense exploration of what happens to the human waste astronauts leave on the moon without a smirk then you must’ve missed the illustrations. Drag Queen Story Time is popular in Philadelphia, but elsewhere? Philadelphia Weekly recently talked to those running the children’s events to see how well they’re faring outside the city. Food insecurity has many faces and it requires diverse solutions, as Generocity’s recap of the best practices from Bucks, Chester, Montgomery, and Delaware Counties shows all too well. Rapper Nipsey Hussle was shot dead on Sunday, but it’s not just the music industry that’s in mourning. The Los Angeles Times explains the huge impact he had on his South L.A. community. This April 17, 2017 photo released by the Metopolitan Opera shows Yannick Nezet-Seguin during a rehearsal of Richard Wagner's "Der Fliegende Holländerr" in New York. Philadelphia Orchestra conductor Yannick Nézet-Séguin’s latest work? A playlist specifically curated for cats and dogs looking for new homes.